One of the city’s favorite traditions, Bryant Park’s Winter Village is Midtown’s Winter Wonderland. Set against the stunning backdrop of the New York Public Library, the fairy-tale like spectacle features over 150 holiday shops and stalls, that house true craftsman and unique, handmade offerings. After you’ve worked up an appetite and completed your shopping, indulge in the park’s various pop-up eateries, and take a spin around The Rink, New York City’s only free admission ice skating rink. The Rink and Public Fair are currently open and will run through March 4, 2017. Skating hours: Daily 8am–10pm, through Mar 4. Holiday Shops: Mon–Fri 11am–8pm, Sat, Sun 10am–8pm, through January 2. Many shops are open on major holidays. For additional information on Bryant Park, visit Bryant Park’s website (here). Bloomingdale’s flagship store in Midtown always delivers one of the City’s most jaw-dropping vignettes, and this season is no exception. This year’s display has been dubbed “Greatest Holiday Windows,” and its title stems from its theme as well as its place amongst Time Out New York’s list of top windows. The famed luxury department store has partnered with the film The Greatest Showman (in theaters December 20th) to bring elements of the highly anticipated picture to life. An homage to P.T. Barnum, Bloomingdale’s windows will showcase whimsical visuals, circus acts on display, and outfits and props that reportedly have been adorned with more than 7,600,000 Swarovski crystals to create a truly unforgettable sight. As if you needed more incentive to check out the dazzling displays, Row NYC offers an amazing deal for visitors with their Bloomingdale’s Shop & Stay Package. Guests receive a $50 Bloomingdale's Gift Card, duffle bag, VIP leather wallet, key chain and special in-store offers alongside their stay at Time’s Square contemporary hotel. For additional information on Bloomingdale’s, visit their official website (here). 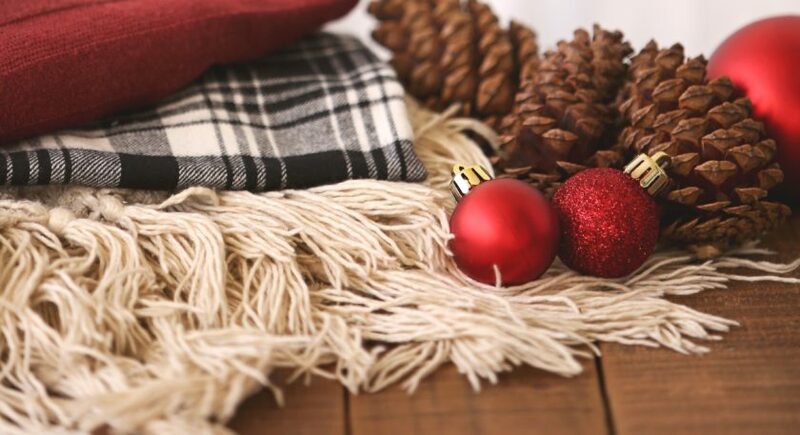 In celebration of the season, Row NYC is offering guests unbeatable promotions as an added perk. Once guests arrive and log on to the hotel’s complimentary Wi-Fi, they will receive exclusive promo codes for special deals at District M. Row NYC’s onsite restaurant and lounge has become a favorite of locals and visitors alike for its artisanal cocktails, hand-stretched Neapolitan pizzas, fresh-ground coffees, and curated selection of the best bakery items throughout all of Manhattan. Among the offerings are 30% off on handmade pizzas, a specially priced Holiday Spice Cocktail (we hear it’s a delicious combination of whiskey, Frangelico, and Pumpkin Syrup), and a can’t-be-beat wine deal. 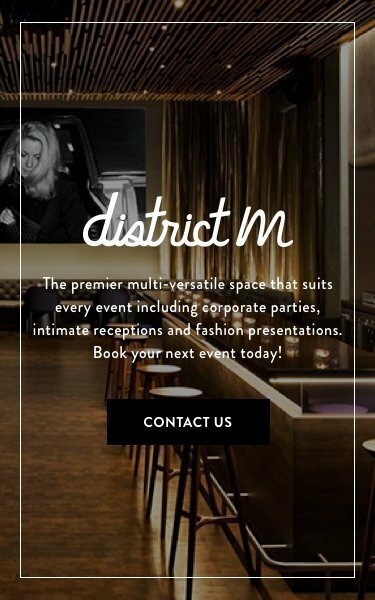 District M is the perfect place to indulge and escape from the cold. District M at Row NYC will host an international affair complete with a viewing of the New Year’s Eve celebrations around the globe on their massive 14 ft screen. The celebration will begin at 12pm and entry is free until 7pm, and will feature multi-cultural bites and signature cocktails. After the sun sets, District M will parlay into an evening affair, with a FuturuM theme to ring in the new year. Beginning at 8:00PM, the venue will offer hors d’oeuvres, tarot card readings, party favors, a midnight toast, and live music from DJ Paola Shea. A General Admission Ticket or Table Service Ticket will be required for entry after 8pm. Must be 21 years of age and older to attend.